White wine vinegar consists of fermented ethanol and other sugars, which are aged to form a less acidic form of traditional vinegar. People throughout the world include white wine vinegar in a variety of recipes, and also use it for cleaning. Over the years, many people have touted the health benefits of white wine vinegar, and modern research offers some support for their beliefs. A 2005 study published in the "European Journal of Clinical Nutrition" showed white wine vinegar reduced the glycemic index of food when it was consumed along with a meal. In healthy patients, this vinegar may help regulate blood sugar and provide short-term appetite control. The same study found that white wine vinegar reduces insulin sensitivity in diabetic individuals, and may help to slow progression of the disease. An article published in "Medscape General Medicine" in 2006 links white wine vinegar consumption with anti-tumor properties, suggesting a potential link between vinegar and cancer. In laboratory tests, white wine vinegar was shown to slow the progress of some types of tumors, or even to prevent new tumors from forming. This property may be attributed to vinegar's high polyphenol content. Like other antioxidants, the polyphenols found in white wine vinegar may reduce cancer risk due to their ability to neutralize free radicals in the body. Though further research is needed, the "Medscape General Medicine" article suggests that white wine vinegar may help to reduce blood pressure and protect the heart. In laboratory tests, rats who consumed white vinegar showed a reduction in high blood pressure as well as an increase in calcium absorption. 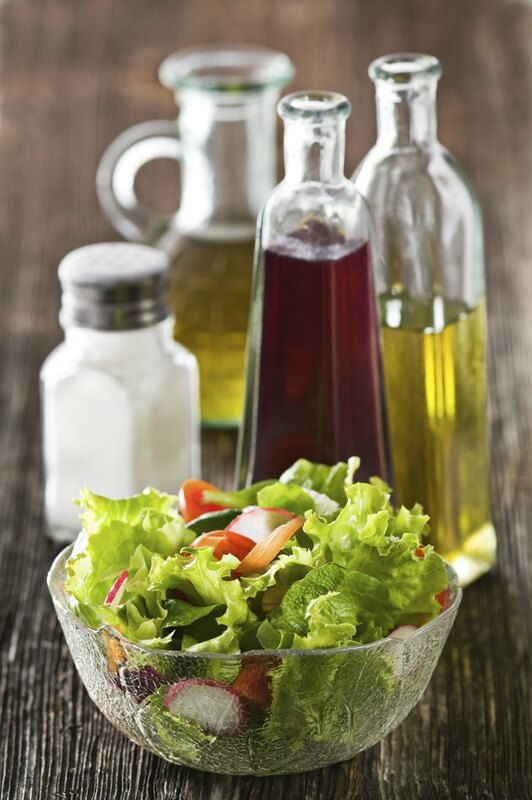 Anecdotal evidence in humans also shows a link between consuming white wine vinegar in salad dressing and a reduced risk of heart disease. While more studies are needed to explore these results, vinegar does show some promise in terms of heart health. In addition to several purported health benefits, white wine vinegar offers some non-health benefits. According to the Vinegar Institute, it acts as a natural herbicide to kill weeds and invasive plants. Unlike chemical pesticides, vinegar won't contribute to air and water pollution when used this way. Vinegar also serves as a natural disinfectant for cleaning inside the home and out. While it may not be as effective as standard cleaning products, white wine vinegar offers a low-cost, eco-friendly alternative to chemical sprays and cleaners.